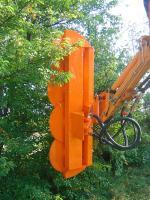 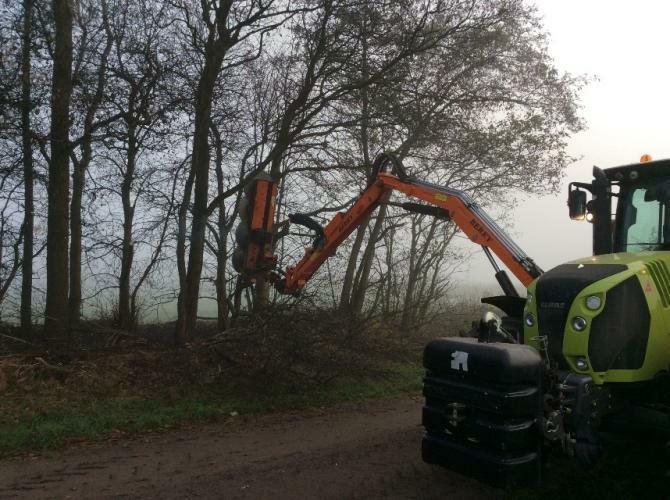 The tree saw model 5830 can be used for cutting underbrush and branches. 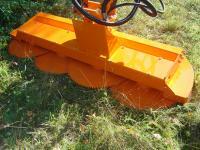 Equipped with reinforced blades (diameter: 700 mm) the saw reaches a cutting width up to 20.00 cm. 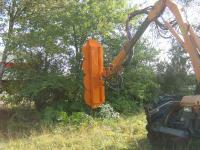 It is powered by a hydraulic motor and rubber belt. 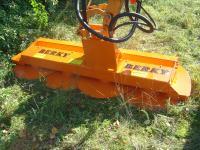 The required hydraulic capacity of boom equipment is 60 l / min, 250 bar.